Adam Goldkamp from GetHuman.com recently joined me in an interview where I learned just how much they are doing to help reduce the stress of using the PHONE to take care of business. Many people email me to share the daily challenges of living with a vocal disorder. PHONE issues are among the top challenge! Our goal at VocalDisorders.org is to do whatever we can to improve the day-to-day lives of those living with limited voice. So, when we found out about GetHuman.com we were thrilled to learn more about this service! And, if you are unable to listen to the interview, we have included the transcript! It’s located beneath the audio. Here’s it is. Enjoy and please leave a comment! Andrea: Hi everyone, this is Andrea Hardaway once again from vocaldisorders.org. I’m very honored to have the privilege to interview Adam Goldkamp from GetHuman.com. You guys have heard me mentioned this site before, but I wanted to be sure that we get the message out as clear as we could because… I’m telling you, I have never been more excited about an existing resource to help out with some of the pain points from our community as I am now. So Adam, thank you so much for joining us today. Adam: No problem. Thank you for having me. Andrea: So Adam, let’s jump right in with the questions. I’m excited, but I want other people to get as excited as I am. Can you tell us a little bit about the background of the GetHuman.com service and why the service was started? Adam: Yes, sure. GetHuman was started back in 2005 by Paul English, who actually eventually went out to form kayak.com. And one of the reasons that he started the company was, his father had Alzheimer’s and so, when he was calling these companies to call for a bill, say for the cable company, these long phone menus in there long wait times he we could to far and forget what numbers to press. So, Paul actually created just a list and put it out on the Internet… just for showing people how to get through these phone trees. He got a lot of success and a lot of hits and a lot of people were using it and it was sort of a novel concept. I guess a few years later, obviously, with kayak.com he got pretty busy and so the site kind of went dormant for a little while. So, he sort of revived the site and created an iPhone app for it. I came on board shortly thereafter. We were just two people… so it just seemed like a very logical thing for us to work on. We were college friends and we hated calling customer service and we didn’t understand why we’re still using a system that was created back in the 70s and 80s. So, he and I have been working on this since then. Actually, just last year we finally formed as a company officially. We’re trying to always find the best ways for people to get in touch with customer service. We’re trying to take the pain out of customer service for everyone… Whether it’s just providing ways to the phone menu, providing online chat functions, twitter feeds throughout the company. Customer service comes across a lot of platforms. So, we’re just trying to get the consumer a voice, provide them with the tool that they need in order to get their issues resolved. You know, they’re calling customer service and engaging in customer service is less frustrating. Andrea: Wow. How big is your team now? It’s quite a lot of work, I can imagine, trying to keep all of this stuff updated. Adam: Yeah, absolutely. So we’re a small team. We’re a team of 4 and we’re just curating this information. As you can imagine, there’s a lot of work. So, we’re building the database to try and expand it to have more companies. We’re over 10,000 companies now. 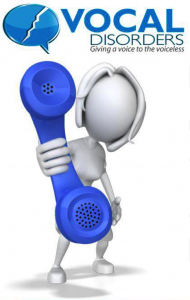 We provide call functions and callbacks for over 2000 of them. So, there’s a lot of information on the site. It’s a delicate combination of us, on our end, calling the numbers and checking to make sure that everything is working. But, we also rely heavily on our users. The way the site is setup and the way the company is setup… It’s a crowd-sourced application. So, we rely heavily on our user feedback, both good and bad… this is working, this is not working, here I tried calling this number, etc. This is what drives us, obviously, as we want to do this. So, it’s a combination of us wanting to do this and also getting valuable feedback from our users. The response has been great! It’s, unfortunately, a highly relatable, situation. So, people want to do their part to help and we love to welcome that. Andrea: I’m actually looking on your website right now and I just want to congratulate you guys, because I’m seeing that you’ve actually gotten recognition from Times Best Website for 2011, recognition from Consumer Reports reports, LifeHacker, MSN Money, Wall Street Journal…. That is absolutely amazing for such a small team to do all of that. Adam: Oh, well thanks! We love what we do… we really do. Just for providing customers with help and frustrated consumers, trying to alleviate their frustrations, is what we love. Getting recognition from those companies and those sources is always nice but, just like we love hearing back from large companies and media sources, we also love hearing from our users. So, thank you very much. Andrea: And you said you had like 10,000 companies right now represented, as far as having the ease of contact information. Have any of those corporations reached out to you and given you feedback on the service? Adam: Yeah, actually we do hear from companies a fair amount. The reaction, obviously as you can imagine, is mixed. The companies that get it, which is most of them, understand that we’re helping them provide better customer service. We’re providing their customers with the accurate information that help get their concerns taken care of when they call. So, a lot of companies want to reach out to us to make sure that the information we have on our site is as accurate as possible. We are always happy to engage with that, because they understand that, in this environment especially, it costs far less to retain a current customer than to acquire a new customer. So, they want to make sure that the customers that are calling through are in a better mood. There’s all these statistics about when customers call, 77% of them are already aggravated or experiencing rage when they actually get to talk to the representative. So, the good companies understand that we’re just trying to help them. So, the more accurate the information we have, the less frustrated the caller is when they actually talk to the representative from the company, the more likely that customer is to stay with the company. Now, we do have some companies complain from time to time. But, honestly, we’re not really telling them anything that they don’t already know. I mean, if the company is complaining; is looking at the information on our site and the reviews and they’re not happy about it… maybe it’s time for them to start looking internally on how they handle their customer service. We’re just providing a voice to their consumer base. There is an opportunity here for them to analyze what they’re doing. Are people saying good things or are they saying bad things? Then, sort of, re-evaluate how they handle customer service to become one of these companies that is so good at customer service, like the Amazons and the Zappos’ of the world. Andrea: I can tell you that in your value proposition to these companies and helping sell them over, you can let them know too that there really is a great population of people that are trying to reach the companies and they end up hanging up because they can’t get through to a person or the automated phone systems don’t necessarily register what they’re trying to say. That’s really one of the reasons why I really wanted to talk to you today and learn more about your service. GetHuman.com especially interested me, because one of the most prevalent concerns that I hear among people with vocal disorders (which means they have limited or virtually no voice at all), is that the automated phone systems just don’t understand them. They get caught up in a loop. It takes them sometimes up to 10 times as long just to get through to a person, as it would someone with a functioning voice… just because of the system. And I want people to understand too that it’s not just about how… You guys offer more services than just clicking through to get to a person. You have other services that help accommodate the users when they’re trying to get services from these companies as well, right? Adam: Yeah, absolutely. Everybody’s got their preference on how they’d like to engage with each other. Some of the people in my parents’ generation, the older generations, still like to do things on the phone. Most people still like to do things on the phone, but the younger generations like to chat, send text messages, email… Some people like to operate on email. We try to find as many different mediums as possible to fit the consumer preferences. In general, people like the phone. So, one of the things we also provide is a call back service. So, this would be especially great for your followers and for vocal disorders, because you don’t have to say anything into the phone. We run a program that get through the phone for them. The user comes to our site and just puts in a phone number that they’d like to be called back at and hits submit. Then, their phone rings when the customer service rep is ready to talk to them. So there’s no actual going through the phone menu. You just put your phone number in, go off and do your business, and the customer service rep calls you when they’re ready to talk to you. It would cut down on the amount of time that people would have to spend on the phone and getting through to the phone menu. It makes things a lot easier. We’ve had a lot of people just reach out to us and tell us how useful that is. I mean, your time is worth something as well. So no need to sit there subjected to the phone menu when you could be off doing something that you actually enjoy and then handling the phone calls when it comes. Andrea: I have got to tell you, my heart just started racing even faster when you talked about the callbacks. I think that’s one of the things that we want to do, especially for people with vocal disorders. We want to remove them from even feeling that initial anxiety from needing to call a company. I’m just going to say it; I’ll put it out there right now. My recommendation is for all of the VocalDisorders.org followers to go to GetHuman.com and see if the company they’re trying to reach is already in the list and if there’s an easier way to reach them. Let’s go ahead and remove some of that anxiety. Now, Adam, there may be some companies that aren’t represented here. If any of my followers see that their company is not represented, how can they request help from you guys? Adam: We’re always looking for new companies. I will also put it out there that we’re always happy to set up a callback function for any company. So, if there’s a company that users come across and that function’s not set up, they can either send it through email and volunteers@gethuman.com or go to the site, the main website, and on the bottom you’ll see a menu and it says ‘Suggest a Company.’ If you submit through the web, that goes to the same email as well. But yeah, we’re always looking for new companies. We’re working hard on our end, but if you see something that you’d like to see added too, just let us know. Andrea: Awesome. Well, Adam, that’s all the questions I had for you today. Is there anything that you’d like to close with or any final thoughts you want to be sure the vocal disorder community knows about GetHuman.com? Adam: Yes. We would be happy to have them just take a look and let us know how we’re doing. We’re always happy to get feedback. So, even if there’s something you’d like to see added to the site, whether it’s a phone number or another way that we should consider letting customers engage with companies… Feel free to let us know. You can send us feedback on our website or via email at volunteers@gethuman.com. We’ll be happy to take a look. Andrea: Thank you so much, Adam, for your time. Everyone, this is Andrea Hardaway signing off with Adam Goldkamp from GetHuman.com. Again, if you’d like information, please go to GetHuman.com and visit their website and you can also follow them on social media as well. Adam, thank you so much for your time and I just really appreciate the information and I look forward to being able to send you some wonderful feedback and follow up from our members. Adam: Well, thank you Andrea, I appreciate that.